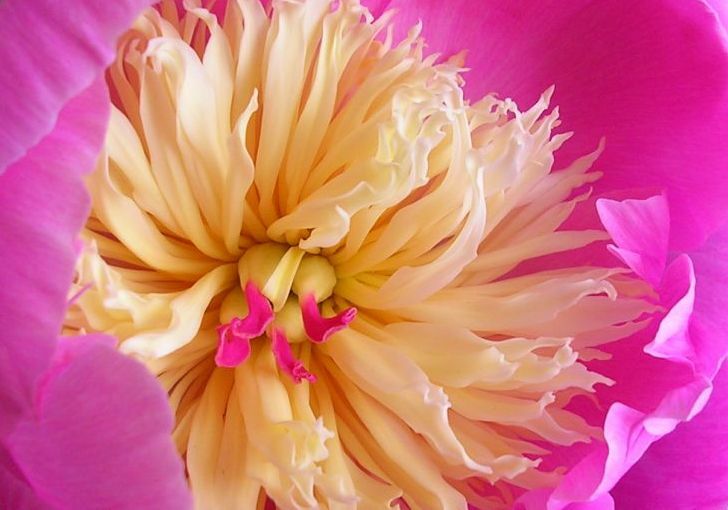 Don’t you just want to crawl inside this flower and live in those colors?? Productivity Counselor, Corporate Disorganizer, Urban Shepherd…sparks & honey‘s 20 Jobs of the Future will give you a lot to think about. Check out their blog for a bit of eye candy as well. Alexandra Franzen is always inspirational and this recent post on reframing how we think about our audience, whether it’s one reader or 2,000, hit home for me. I strongly recommend signing up for Satya Inayat Khan‘s email list. She sends beautifully written, one-minute snippets of her life. Trust me, it’s a good addition to your inbox. If you’re starting to feel the itch of spring fever, you’ll enjoy how Christopher Demers captures the brief moments of transition beautifully in The Witching Hour. This entry was posted in Other Stuff and tagged Blogging, Career, Management, writing on February 26, 2014 by Bernadine. Honored to be included Bernadine… Get well soon!